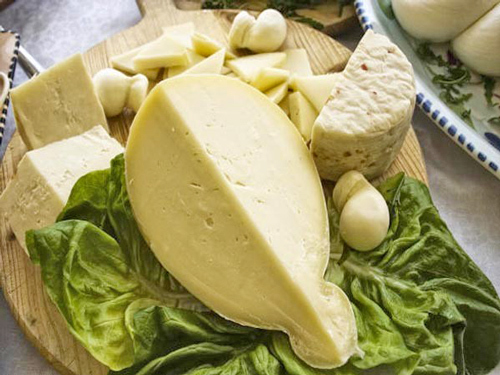 As for all spun curds cheeses, the traditional production area is in the provinces of Chieti and L’Aquila, both bordering on Molise, but currently this cheese is made all over the region. 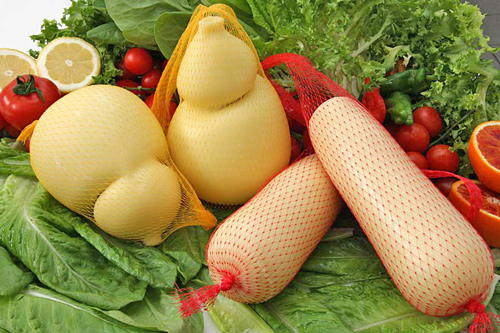 It is a dairy product made with full raw cow’s milk, rennet and salt; it has a soft, compact paste and a typical structure of slightly chewy, fine, even leaves, without eyes This cheese has a smooth outer surface and an unusual pear shape, weighing over 1kg and of varying diameter. The milk used is not pasteurized as coagulation occurs at less than 40°C. 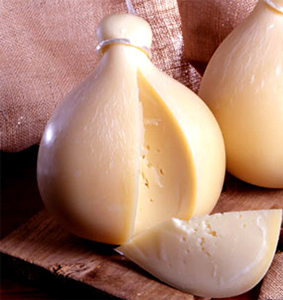 Caciocavallo is made by filtering (to remove impurities) the milk into a wooden tub, (in itself acting as a natural starter, given the porosity of wood, which on each occasion preserves and transfers specific starter cultures to the milk) or other type of tub compliant with applicable standards. Sometimes whey or starter cultures from previous processing, heated to 36-38°C, may be added to improve acidification by contributing thermophilic microbial lactic flora. Calf rennet is then added, to make the milk clot, the amounts used being defined by the strength of the rennet itself and the acidity of the milk; the mass is shaken for a few minutes. This is then left to rest for 20-30 minutes that are needed to complete coagulation. The texture of the curds obtained is checked and then they are roughly broken up using a “curd knife”, which is traditionally made of wood, removing part of the whey, followed by further breaking, to obtain small clots that ensure a smoother paste more suitable for maturing. The mass is then left to mature in whey for at least two hours. Then the acidified curds are moved to another container, with water at 80°C, where they can be spun. Lastly, the cheese is shaped by hand and it is tied at the top. 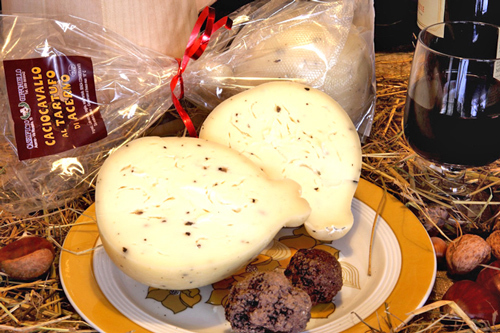 The head of the caciocavallo is closed in different ways, each artisanal dairy having their own version. The cheeses are moved to another container, with cold water, for hardening. Then they are left to soak in brine (sterilized every fortnight and changed every month) for 12-20 hours. After salting, the cheeses are left to mature for about 20 days in a cool, dry place. 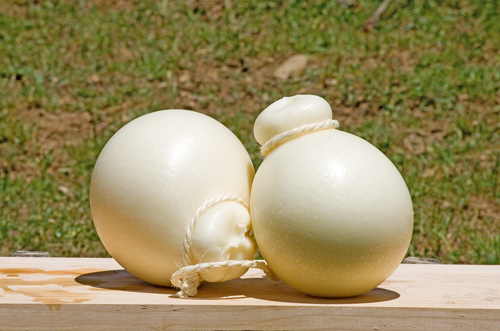 Caciocavallo takes its name from the fact that the cheeses (cacio), in pairs, are tied together with raffia and hung astraddle (a cavallo) a horizontal rod to mature, which may take from three months to two years, and which is undertaken at 10-15°C and a relative humidity of 85-90%. 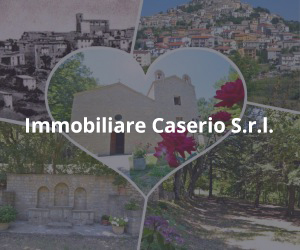 The sensorial traits depend not only on the processing methods, but also on what is fed to the cows, generally Friesians, Bruno Alpina and Pezzata Rossa breed, that pasture in a semi wild state on the highlands of a region that boasts habitats with Europe’s most extensive selection of flora. 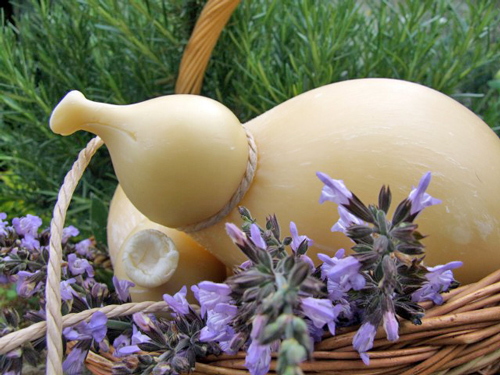 That is why Abruzzo caciocavallo may come in different colours and aromas, depending on the area, season and type of diet. The flavour will be mild and smooth when young (it can be consumed up to 60-70 days after its preparation), and will acquire a more intense, spicy aroma when very mature. 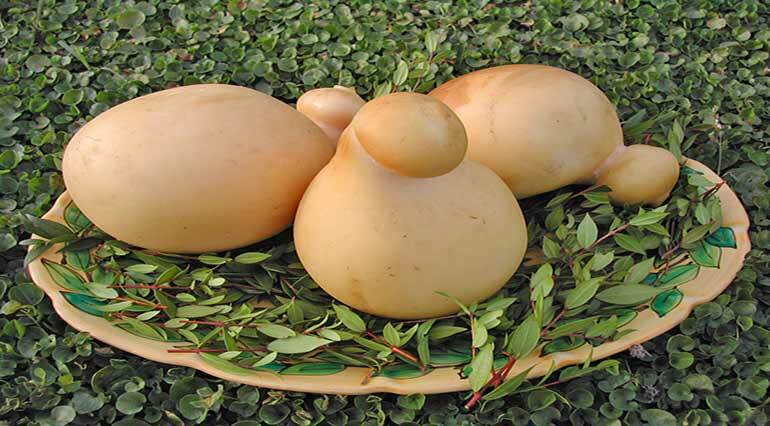 In a publication dated 13 September 1912, Teodoro De Caprariis described this production method and also referred to the wooden vats, used to make caciocavallo for domestic consumption but now no longer allowed at industrial level for hygiene reasons.